Let’s put them together and we have each other. The other day, a friend of mine made a comment how fortunate that I was to have many friends who are conspiring together to help me have a successful journey! This reminded me of an old Girl scout song that I used to sing and taught to my daughter as well in Girl Scout. It’s called “Make New Friends” and according to Wikipedia that Juliette Gordon Low, the founder of Girl Scout found this song from the Kent County Song Book. This book contained folk songs from the British Isles. Ever since Russ and I acquired the mighty Tdub (aka TW200), we have been gaining new friends from all walk of life through these little bikes. In the past, we would not go on group rides because we were easily distracted by the endless side roads which could mean new adventures lie ahead for us but being stuck in a group ride means that we’re stuck on a set itinerary. 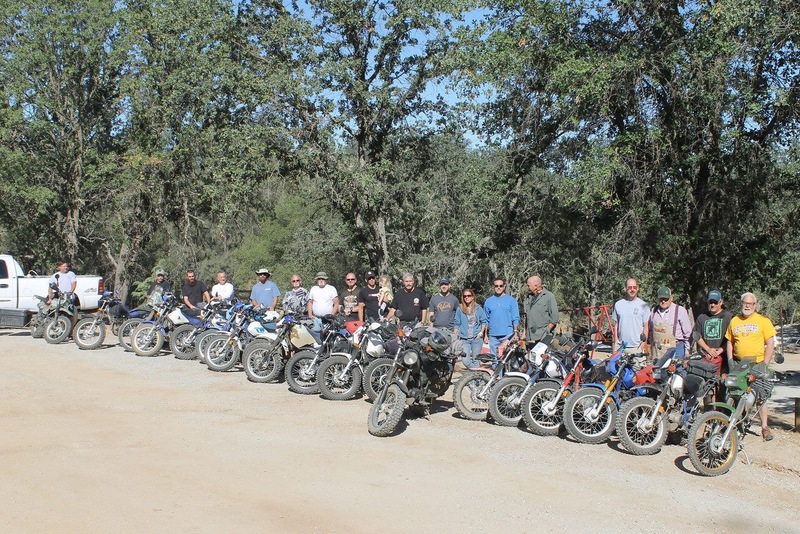 However, one day we decided to bite the bullet and try out the TW200 group ride through Joshua Tree. This is where we met Jeff and Ron who became a lifeline for him and for me after he passed away. In fact, after Russ passed away I acquired hundreds of brother-in-law. They all step up to the plate in helping me selling the motorcycles, covering the funeral expenses and getting my bike ready for this trip. I could not have done it without their generosity of time, parts and moral supports. When I started planning for this trip a year and a half ago, I started attending the Horizon Unlimited and the Overland events to get educated about the life on the road, I met amazing people who have been traveling all over the world on a motorcycle and some of them have written about their journey. One in particular is Carla King, Russ and I met her at our first Horizon Unlimited event back in 2013. She was fascinated with our little bikes and the all of the modification we have done with our bikes. That is where she originally suggested that we start a blog about our bikes, the mod we have done and the tools we made to be frugal in our spending. However, at the time I too afraid to write the blog know that my writing skills were not up to par with the writers that are out there. When I met her again at the Overland and once she heard about my plan for the year-long trip, she once again encourage that I blog about my trip. 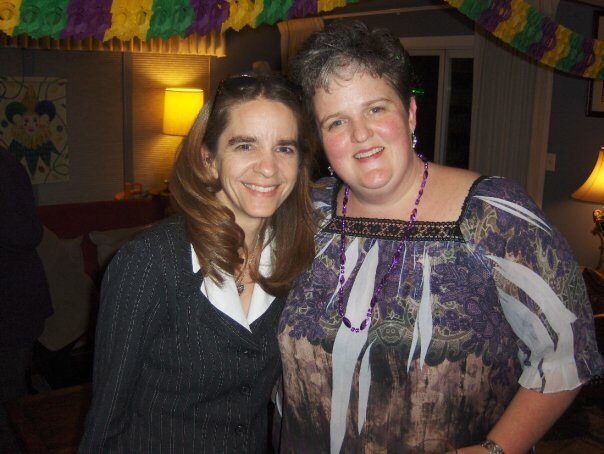 This is where I got braved enough to tell her about my hearing impairment and how it hinder my writing skills. That is where she suggested I create a sticky about my writing styles and then not to worry about others might think about it. So here I am on the journey of a lifetime and sharing to the world the trial and tribulation of it all. 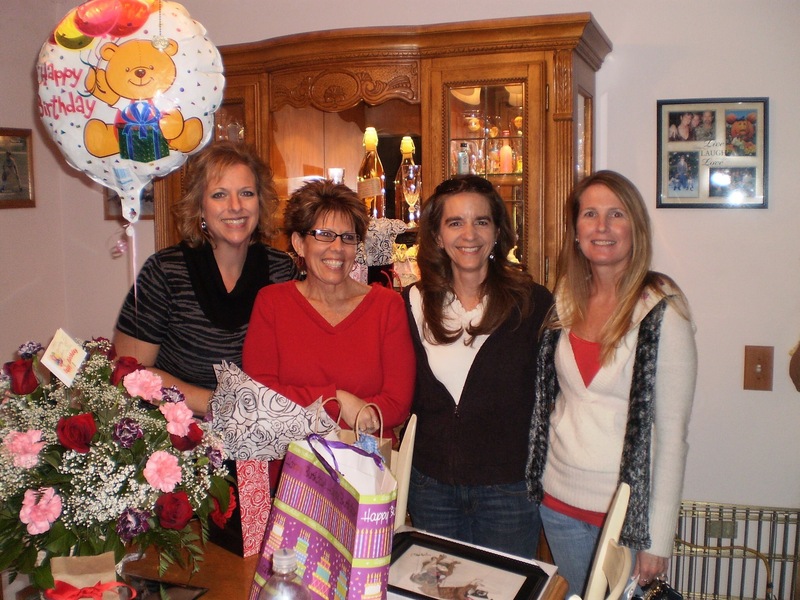 Then I can’t forget my three girlfriends, Kelly, Christine and Janet who has been through it all with me since childhood. Sometimes life don’t allow us to get together often enough. However, when we do get together, we always pick up where we left off as if we never had a gap. There are too many other new friends that I have met along the way to mention here. However, all of them have been my guiding angels on this trip. When a particular situation arises, I can alway hear one or the other talking in my head to give me the guidance or moral support to get through the situations. I’m sure that there will many more people who I will meet along the way to give me the experiences, strength and hope on my journey. This is going to be a great journey…may God and his blessing and good health and no TW problems be with you for the remainder of the trip. Hey Hoot, keep your fingers crossed on the trouble free TW! I sure need it. Ever since we met I’ve been amazed that your tenacity, strength, and courage that you have on taking the journey that you are now on. To say nothing of our friendship, it doesn’t surprise me at all not one bit on the friendships that you have made. Thank you Esther and I will definitely give you a ring when I’m in your neck of the wood! And maybe try your video gizmo soon. I think you are going to meet some amazing people on your ride, and you’ll make a trail of friends along the way. Oh I think so too Dan. Even a leaving a trail of conversation with people. Yesterday when I stopped in Solvang, I took a break and had some ableskiver and chatted with a lady about my travel and how short life is. Hi Gina, thank you for capturing your adventure in pictures and your impressions in beautiful script. 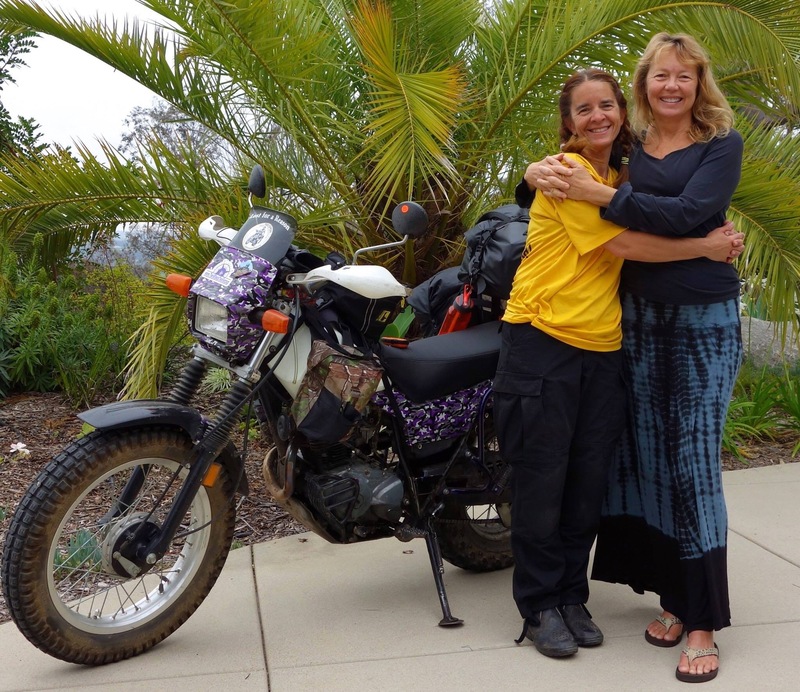 I hope that you will consider publishing a book of your sojourn as there are many women that would like to read from a feminine perspective of adventure riding and the trials, tribulations, and countless random acts of kindness that are a part of personal growth. You are an amazing person and as you travel the miles I can’t help but think that you are blossoming into an even more courageous and confident woman. You are limited in your capabilities only by what you choose to limit. Hi Cathy…you’re welcome. Also, thank you for the encouragement and maybe someday I’ll write a book about my journey. Gina, met you at Lake Gogebic MI in July. We are back in Florida now, but feel blessed that our paths crossed. So enjoyed our evening dinner and campfire. You are an amazing woman. Following your blog!